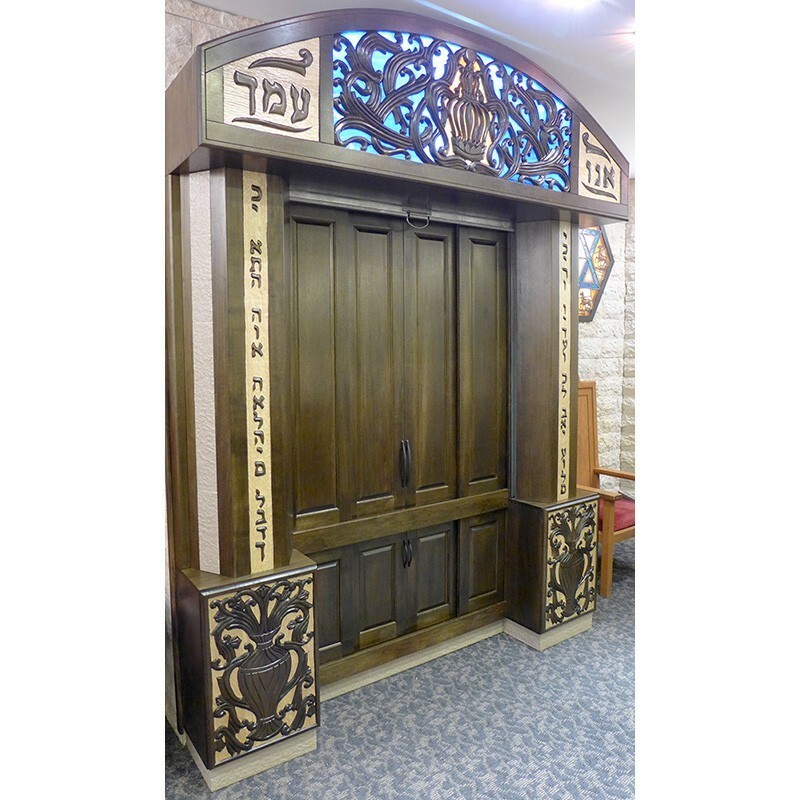 Bass Synagogue Furniture worked closely with members and the rabbi of the Sons of Israel congregation to custom design and build the interior remodel of the synagogue. 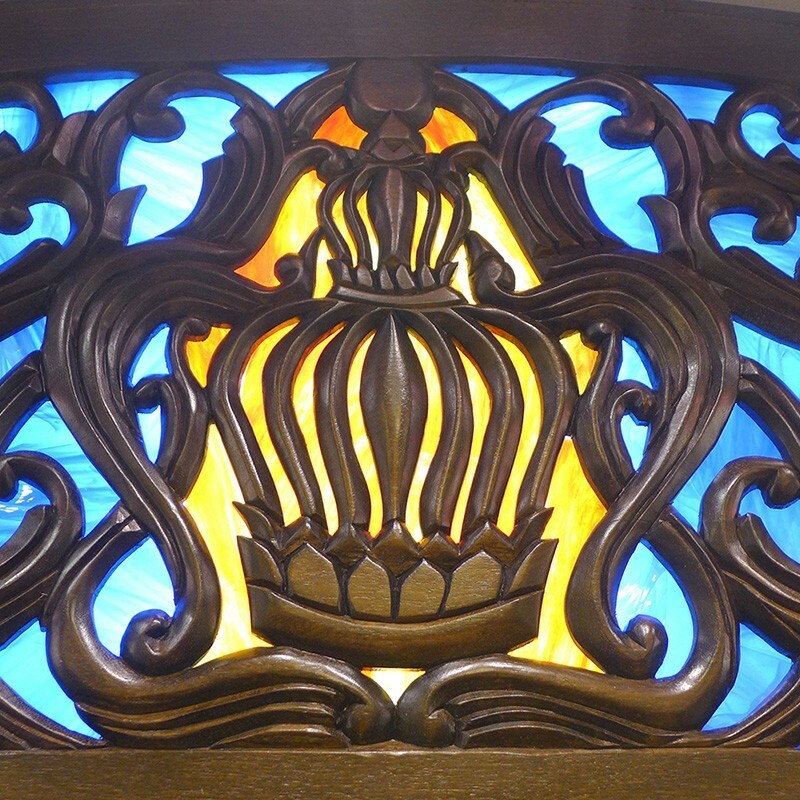 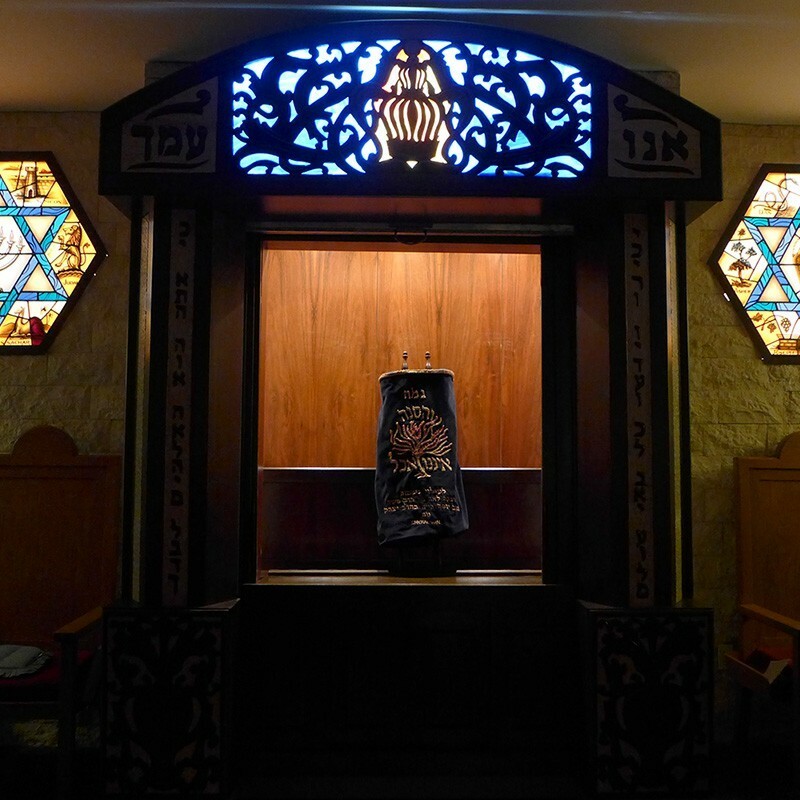 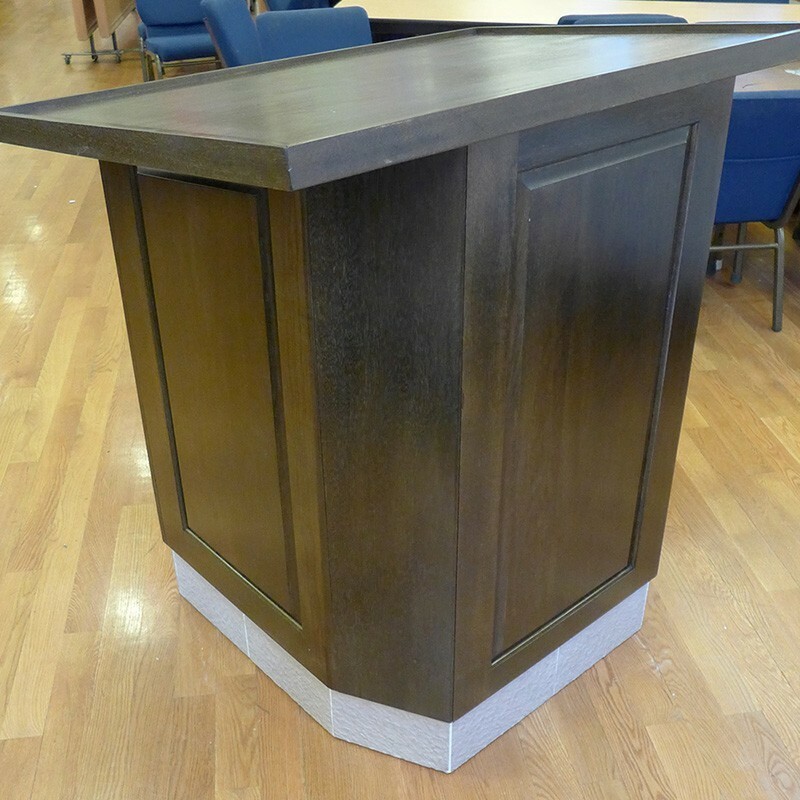 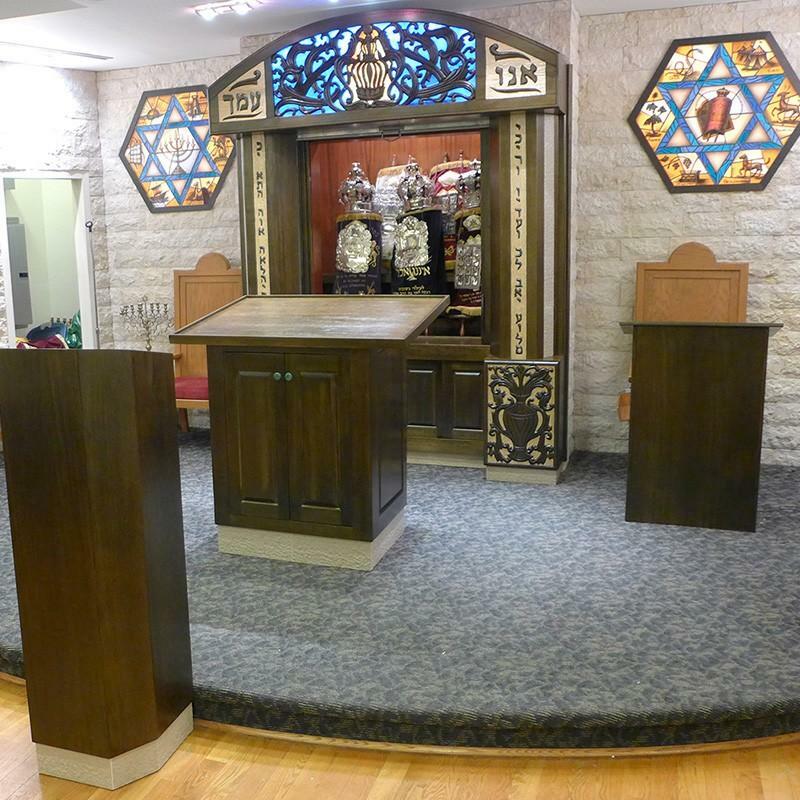 BSF was responsible for the complete design, production, and installation of the Aron Kodesh, Torah Table, Podium, Rabbi’s Shtender, and stain glass lighting. 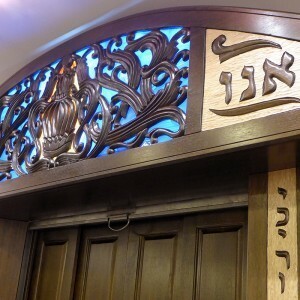 We used elements of Jerusalem stone, glass, and 2 tone recessed wood carving to create a warm space for their existing bimah and suiting the niche in the back wall. 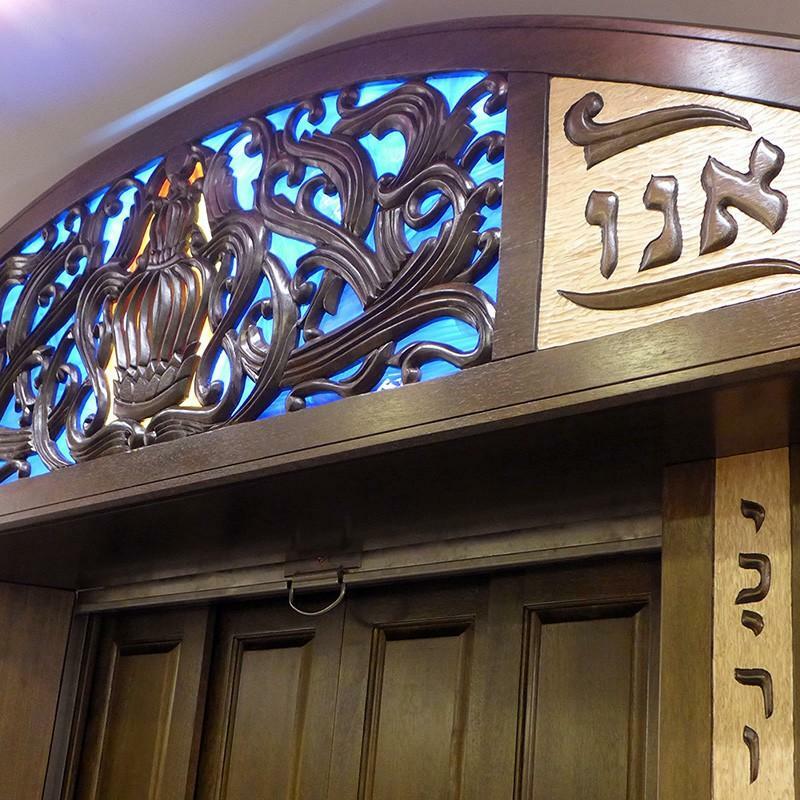 The Aron Kodesh consists of 2 levels to place up to 10 torahs, sliding doors, slide down security door, lit glass ner tamid with LED lighting, hand carving in both the lattice relief and recessed styles. 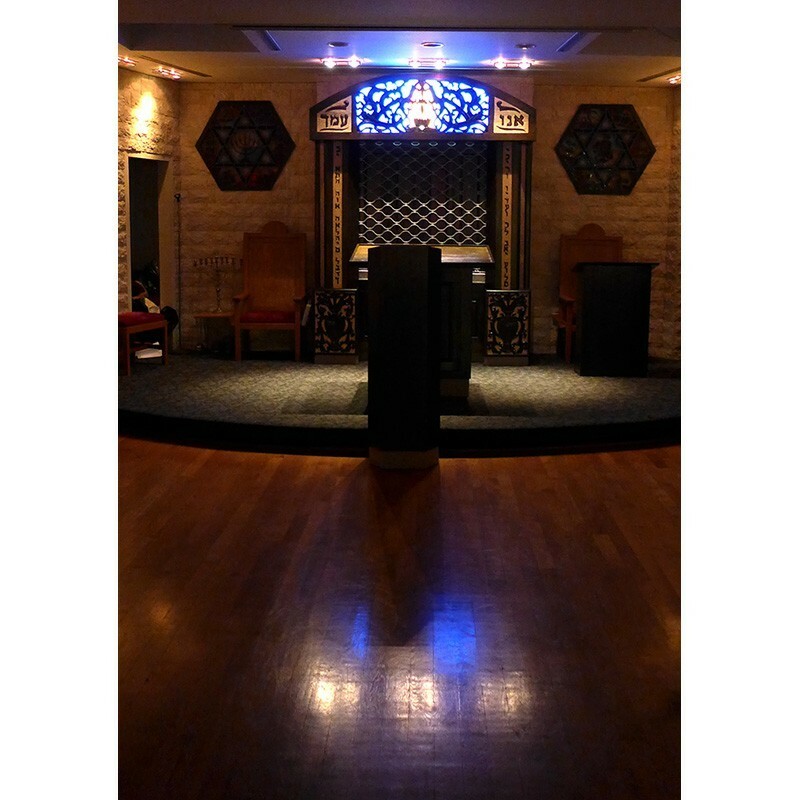 This exciting project was custom designed, produced, and install to the needs, style, and budget of our client. 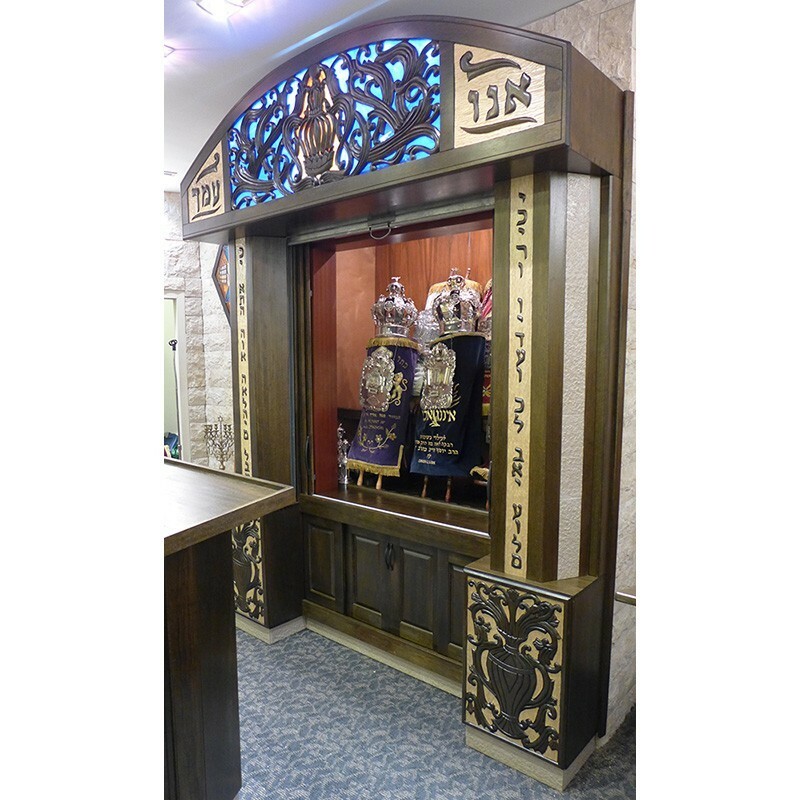 Please contact us for information on how to design and produce a synagogue interior remodel to suit your congregation, either in a similar or different style. 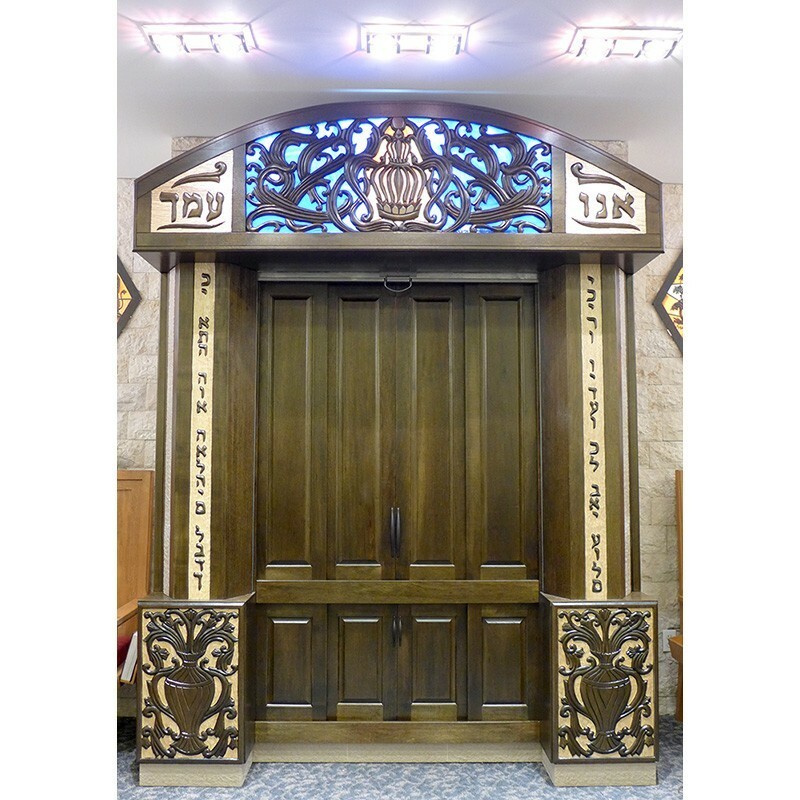 We will provide for you high resolution rendering of your synagogue space and how we envision the work along with a detailed price estimate for the project. 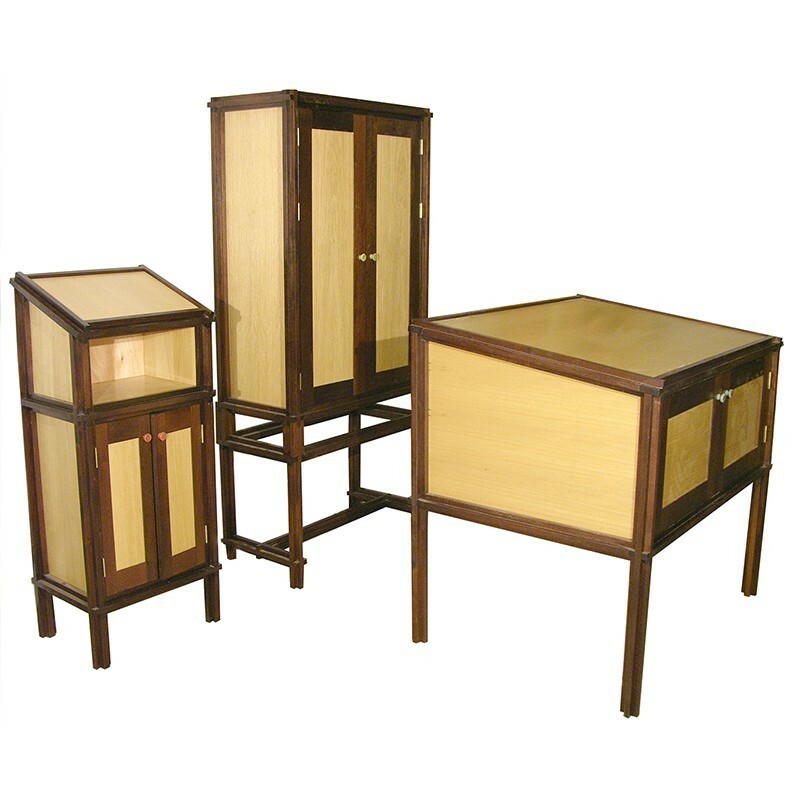 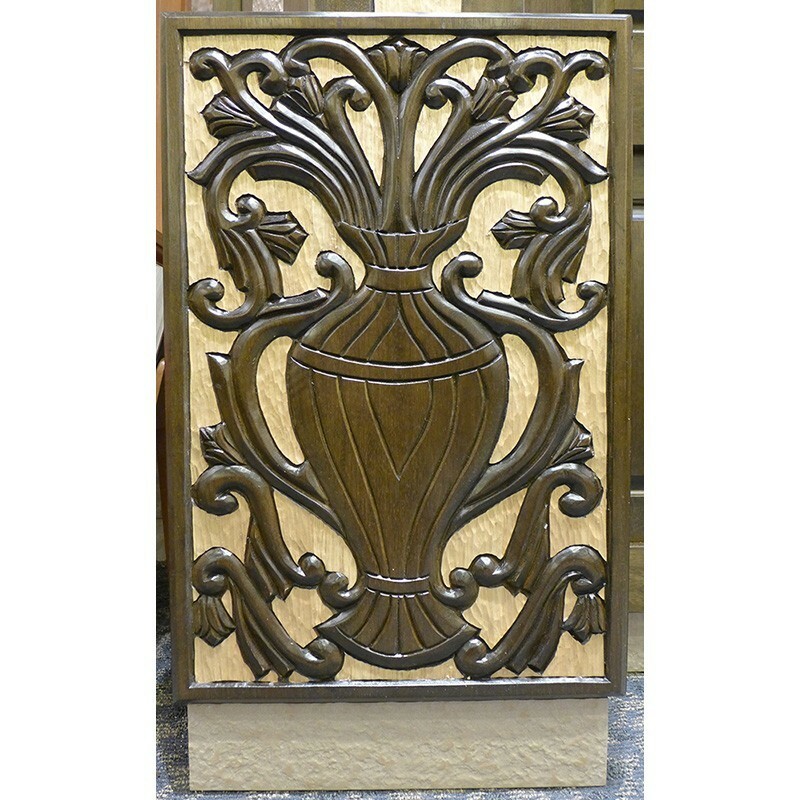 We will work with you on the details until you are fully satisfied with the design before the production begins. 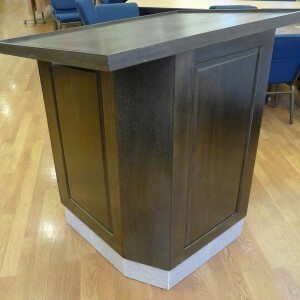 We take care of every detail from design and production through installation. 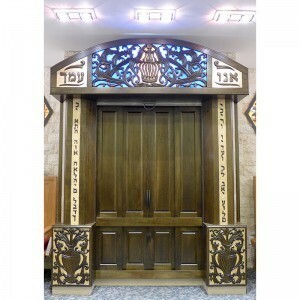 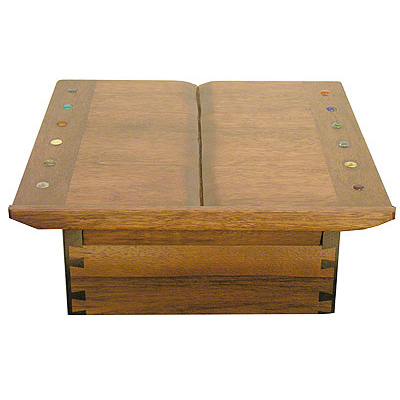 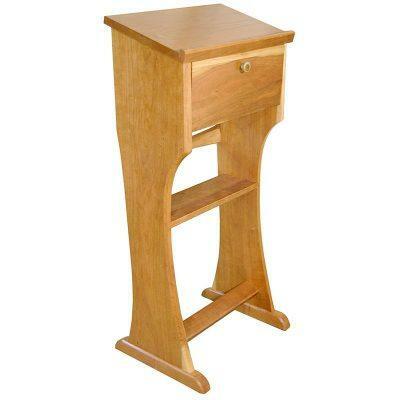 At Bass Synagogue Furniture we offer only the highest grade materials, finest craftsmanship and best service of any synagogue furniture makers anywhere. 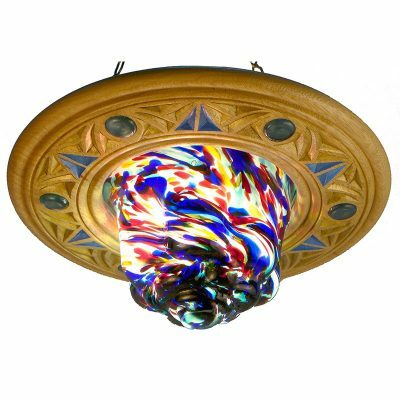 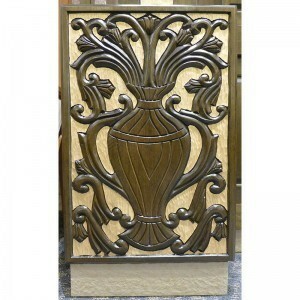 We offer your choice of wood color, unique detail work in carving, Jerusalem stone, glass, and lighting. 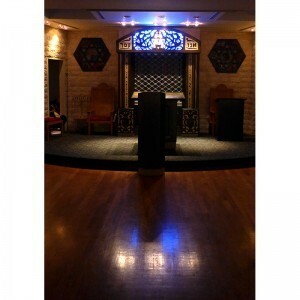 Contact us to discuss your built in synagogue remodel.